These mosques are allegedly under constant surveillance, but nothing is done to stop the hate preaching from the pulpit, where members are told that it is their duty to fight against the unbelievers. 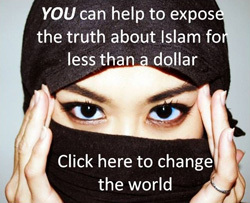 The most radical brand of Islam is Salafism which is the fastest growing Islamic movement in Germany right now. Salafist leaders tell their followers that everyone who is an unbeliever is going to Hell, and by implication, they all deserve to be killed, both Christians and especially Jews. Surprisingly, they are also recruiting women and children to their fundamentalist Islamic beliefs, not just young men. And still…..Berlin authorities shield their darlings from being shut down and prosecuted. Same with issuing an entire halt to deportations, no matter what. What is going on in Berlin state, where Reds and Greenies formed an administrative coalition, is unparalleled even within Germany these days. Mosques are your TOMBSTONES. And I’m not talking pizza here. Will Merkel be barred from entry to Paraguay when Turkish islamists tell her she is not needed anymore? germans deserve this,they let this happen without even trying to fight back,gutless cowards. True. You let this religion Islam Into your country. Like Here in UK. And soon they will try and dominate our countries.. They think they are following the God of the Bible..they are not. 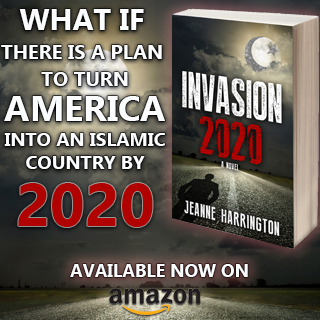 This immigration invasion of Moslems has to be halted. Now. If they want to preach go back to your Islamic believers in the middle east. When will our weak politicians awaken up to the danger of Islam trying to conquer the west. Crusaders we need to fight back. Not with. Killing. Or hate full words. But with the truth. The Germans will eventually learn that mosques are Terrorist Training Centers.